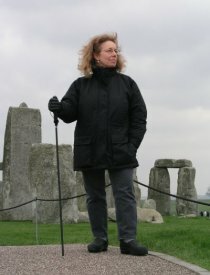 Is the Folstaf® SUPER STURDY Walking Staff Right For Me? 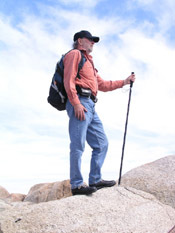 The Folstaf® SUPER STURDY is the perfect all-around trekking pole. It is ideal for everything from a stroll down the street to a rugged hike up a mountainside. This 3/4" diameter staff provides real strength and stability - you can dig in and know it will support you. Many people who purchase Folstaf® SUPER STURDY folding walking staffs are heading into lengthier or more difficult walking or hiking terrain. And the Folstaf® SUPER STURDY can stand up to the rigor of the trail - customers have relied on Folstaf® SUPER STURDY staffs to climb Mount Kilimanjaro, trek across the Pyrenees, and scramble to the top of fourteeners in Colorado. But Folstaf® SUPER STURDY is not just for hiking conditions. The Folstaf® SUPER STURDY is perfect for all of your walking needs. It's lightweight (only 11-14.5 ozs. depending on model), and folds to only 9 inches, and is perfect for sidewalks, roads, park paths, botanic gardens and your living room! If you plan to use your walking stick on wet and/or slippery surfaces, uneven sidewalks or roads, dirt paths (urban or not), the Folstaf® SUPER STURDY adds safety with its road-hugging carbide tip. Need a softer walking tip? No problem - the Folstaf® SUPER STURDY also comes with a rubber cap which fits over the carbide when walking indoors or on other easily marred surfaces. If your outdoor adventures include hiking or fishing and you want a walking pole that can handle heavy water usage, consider the Folstaf® Wading staff, the wading staff designed for anglers and water usage.